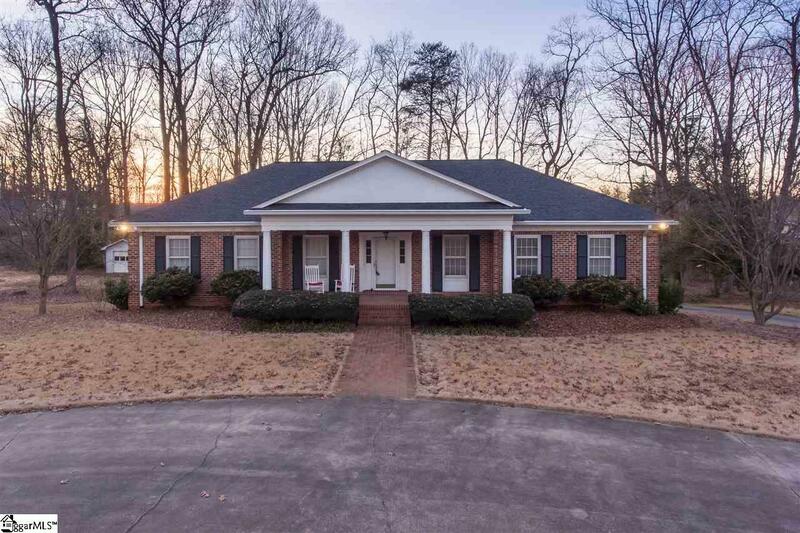 Fantastic location and Brick home on the Eastside. Two Master suites for this home.The basement has currently been ADA modified . It has a new ceramic tile roll in shower, wide doors, proper handles and just off the two car garage. Complete in law suite on basement level.Living room, office area,bedroom , kitchen area ( 220V has not been installed for a stove ). Granite counter top and their own walk in Laundry with sink. The upstairs has three bedrooms with one fitted as a play area and laundry. This could easily be converted back to just a complete bedroom. Living room, spacious family room with fireplace, huge sunroom overlooking a very large wooded backyard, dining room, Well appointed Kitchen with high end stove/oven. You will love the solid feel of a well built custom home. Great schools,10 minutes to GSP International airport,15 minutes to downtown Greenville for fine dining and events!! !Just 10 minutes to great shopping too. This is a must see. A separate lot nearly an acre is also for sale to the left for $70,000.